We are excited! - We have just finished and shipped our first completed project using Dusko's (Ballmer Systems Inc) patented robot technology. 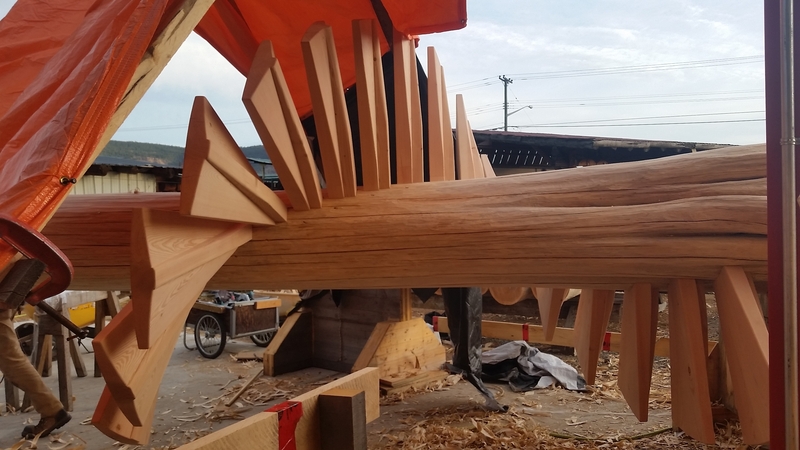 The project is a set of eliptical spiral log stairs which John designed for Carolina Timberworks. The video below showcases what "ABBy" is cabable of, with Dusko callibrating and programming the software and John defining the joinery. With ABBy doing the heavy lifting and grunt-work, The Nicola LogWorks crew can focus their talents on the more complex hand-work.